The Tale of The Forgotten Money Great Read! Ever wonder what happens to bank accounts that are inactive, forgotten about and left unclaimed? The answer to that question is that you probably haven’t. I know the thought of it never really crossed my mind and I bet that would be the case for most Canadians. My initial thought was “Seriously? Who forgets they have money or investments sitting at a bank?” However, the numbers actually speak for themselves and I bet you will be a bit blown away. 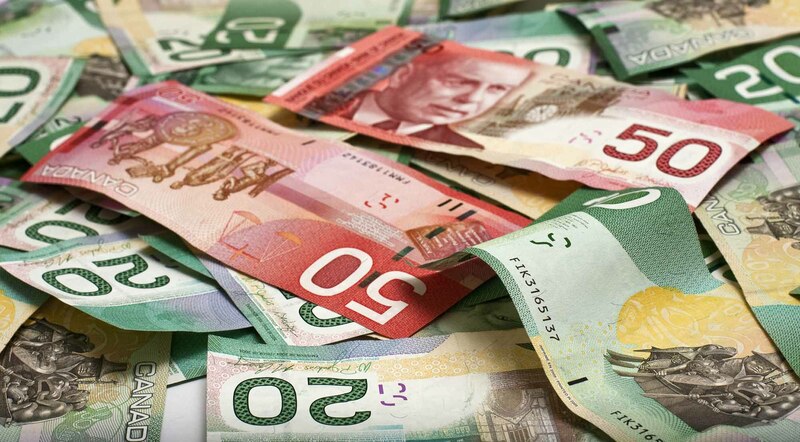 At any given time, the Bank of Canada holds approximately $740 million of unclaimed money. You read that right…. This is money that at one time was held in a Canadian Financial Institution and went unclaimed. Those funds are eventually transferred to the Bank of Canada for safe keeping. The number caught my attention, so I did some digging. It is not uncommon for funds to go unclaimed and when you think about it, it makes sense. Maybe there was a death and family members did not have a full picture of their loved one’s financial holdings or maybe there was no family to step in. Maybe there was a volunteer group, organization or business that had funds sitting somewhere, but they ceased operations and these accounts were lost or forgotten about. Here are the highlights on what happens to the money. When an account or investment remains inactive for a period of 10 years and reasonable efforts have been made to contact the rightful owner, those funds are then transferred to the Bank of Canada at the end of the year. The Bank of Canada then takes control over those funds. Interest is earned and paid on the funds held over the next 10 years or until the funds are claimed by the rightful owner or beneficiary. The Bank of Canada retains those funds for 30 years if the balance is less than $1,000. If the balance is greater than $1,000 then the Bank of Canada retains those funds for 100 years! If the funds are not collected by the rightful owner (that includes estates or beneficiaries) within those designated time frames listed above, then funds become the property of the Receiver General of Canada. Here is the good news! The Bank of Canada has an online database that you can search and its quite simple to use. The data base retains any funds that have yet to be collected and remain in their possession. Once a claim has been made, approved and a payout processed, that information is removed from the data base. Therefore, when you search the database anything that shows up is still in the possession of the Bank of Canada. The Data base shows the account owners name, the institution the funds came from along with branch address (if available), and the amount being held by the Bank of Canada. A simple search I conducted showed balances as low as $2.00 up to $10,000-plus. If you have some time, CLICK HERE and take a few minutes to search the names of your loved ones that have previously passed away, see what comes up. If you run a business or community organization, search those as well. Just remember that the funds will not show up in this database until the original account has been inactive for less than 10 years. For more information about the database and how to process a claim, CLICK HERE to visit the database information page on the Bank of Canada’s website. So, to all of our self-employed, hard-working, determined individuals, take heart! You can qualify for the mortgage you want, it just takes a little more planning to get everything in order. Keep in mind to that every lender has different guidelines as to how they view self-employment. Working with a Dominion Lending Centres broker leading up to your property purchase can help you ensure you get the mortgage you want.